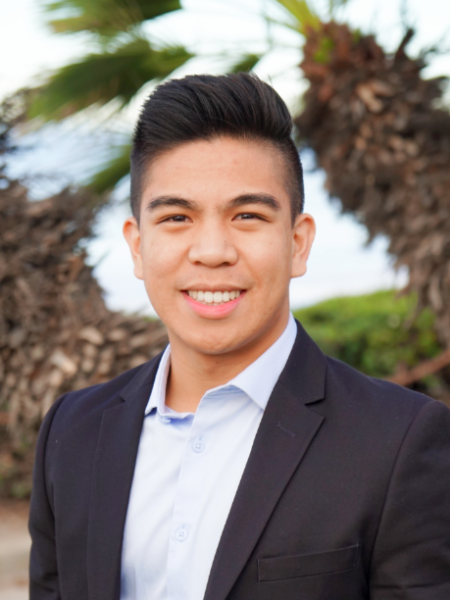 Ralph Molina studies Finance and Accounting at San Diego State University (SDSU). Before moving to San Diego, he helped his friend grow the award-winning charity, BrickDreams, in a Corporate Development role. During his freshman year, he was ranked as one of the top salesman in the country with the AroundCampus Group, selling a brand new marketing and advertising software. He also founded and served as President of the Business Consulting Group, a student-led consulting firm that has equipped 4 growing companies with market research, financial analysis, and strategic plans to evaluate and execute investments, expansion, capital raising, or exits. Lastly, he completed an internship with PwC's Deals group, consulting and creating models for M&A and IPO deals such as the T-Mobile Sprint merger. On his free time, Ralph enjoys golfing, surfing, and coaching his youth basketball team.